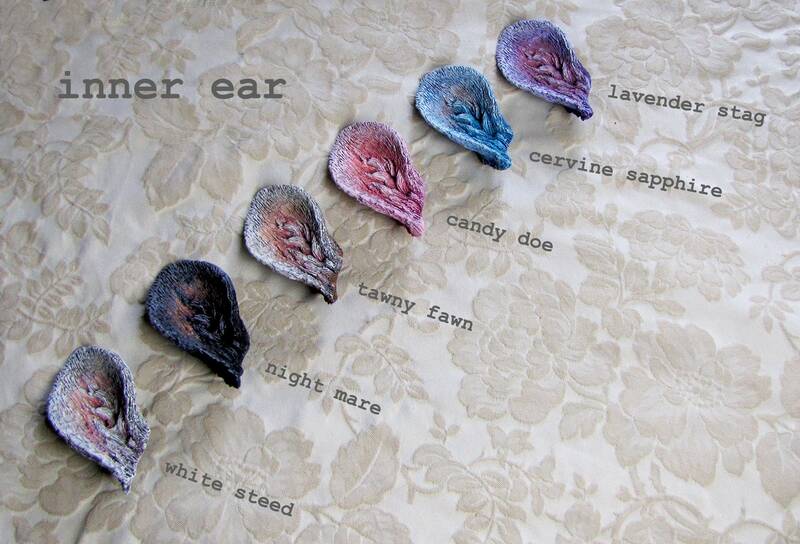 This beautiful & versatile ear and petite antler combo are perfect for fawns and satyrs alike. 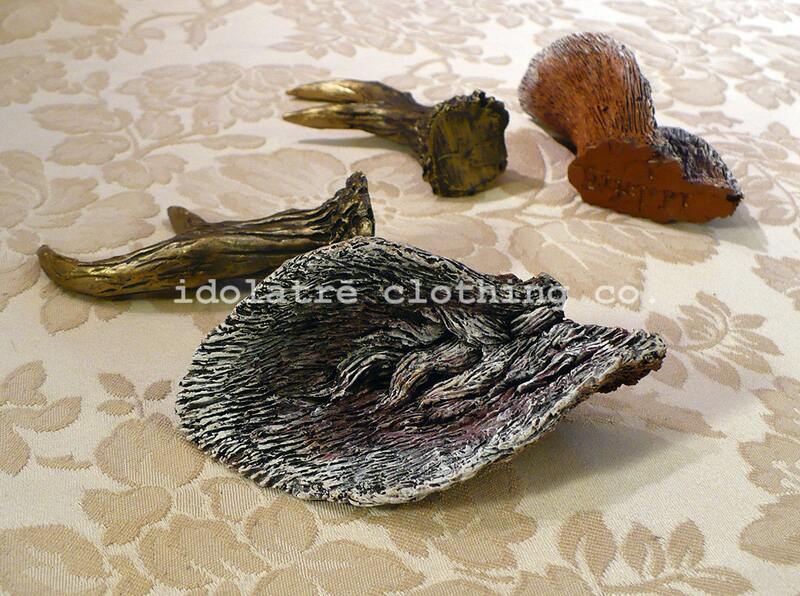 The antlers are cast from the hand sculpted Idolatre originals, composed of plastic resin, measure 4.5" in length, 1" diameter at base, and weigh 2.4 ounces per pair. 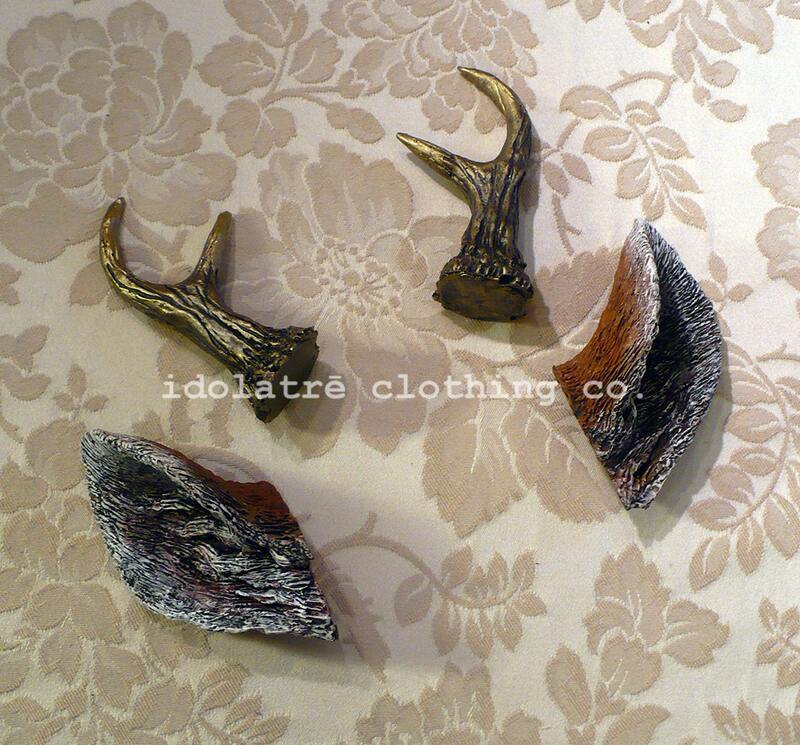 The ears are cast from the hand sculpted Idolatre originals, composed of plastic resin, measure 5" from base to tip, and weigh 4.2 oz per pair. Headbands are made with quality plush back elastic, available in several neutral colors, and fully adjustable with plastic sliders (no ties, no loose ends, no hair-pulling mess) which makes them neatly suitable for any head size. 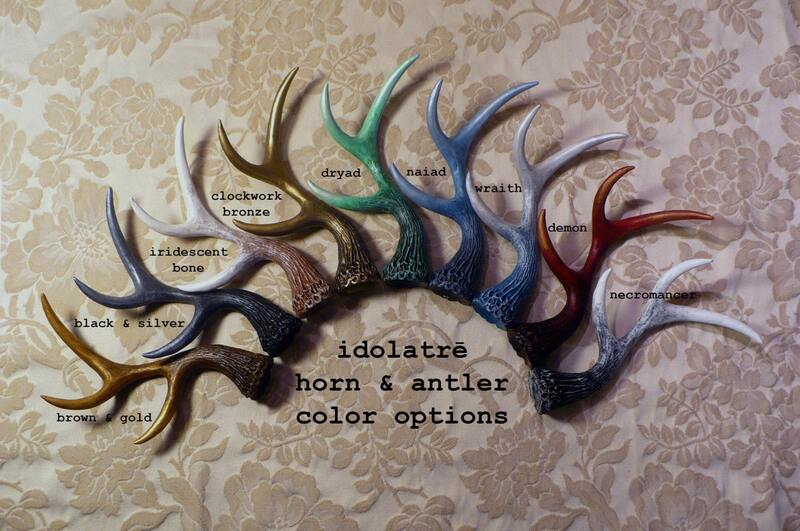 First image features antlers in Iridescent Bone and ears in Tawny Fawn. Second and third image feature antlers in Clockwork Bronze and ears in Tawny Fawn. 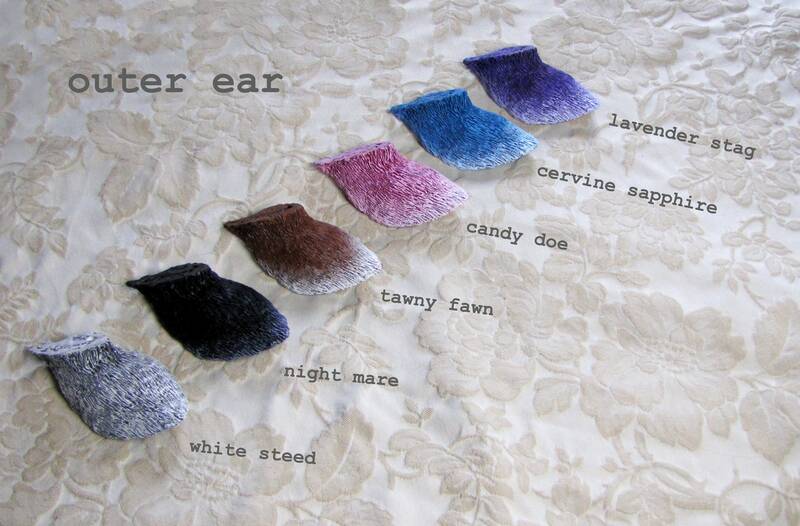 Antler color swatch chart is featured in the 4th image, ear color swatch charts can be viewed in 5th & 6th image. 7th image features elastic swatch chart. 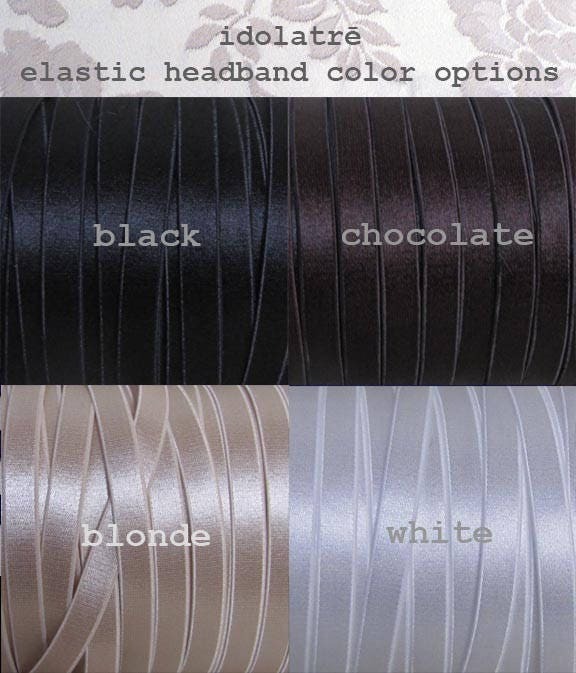 Default elastic color is Black, if you would prefer one of the 3 other color options (Chocolate, Blonde, or White) please mention it in your note to seller with purchase. These are amazing! They fit great and are very well made. Store owner is very helpful. Shipped quickly. I made a rookie mistake and tried getting the mini antlers last minute for Halloween, paying for express shipping. 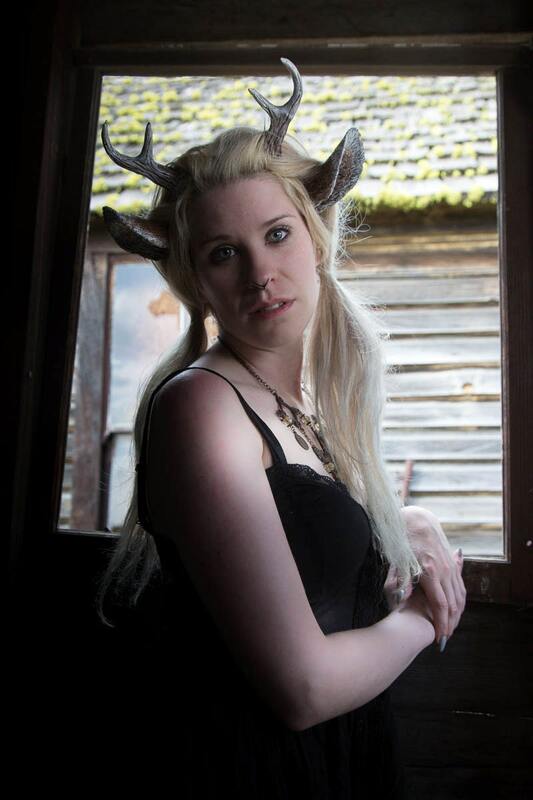 The store owner very kindly messaged me right away advising I had missed the Halloween cut off point for orders, but then immediately followed up saying she had a set of the mini Maenad ram horns in my picture all ready to go. Feeling very sheepish for trying to do all of this in a rush, not taking into consideration that I should have done this order much earlier, I asked if it was ok to see a picture of the horns. I fell in love. They were mailed to me with ample time to spare and I received lots of compliment. Thank you for being so patient and working with me! The set was beautiful and very comfortable! I am so impressed with the quality. The horns and ears made my Costume. Thank you! Beautifully made and received so many compliments! Also shipped out in a timely fashion! Excellent quality, well designed, no problems with shipping Highly recommended!